Lord Percy led the relief troops over Boston neck (currently at Peter's Park on Washington Street at East Berkeley Street), through Brookline, over the current Larz Anderson Bridge, through Cambridge, and on to Lexington to support Colonel Smith and Major Pitcairn's soldiers returning from Concord. The rebels expected Percy to return to Boston the same way and had dismantled the bridge and planned an ambush. 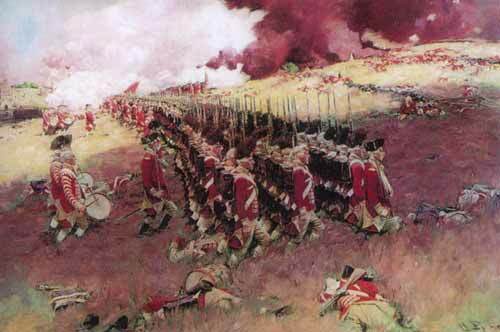 However, Percy made a savvy tactical decision to instead veer to the left and march to Charlestown. The troops were safely taken across the river to Boston. 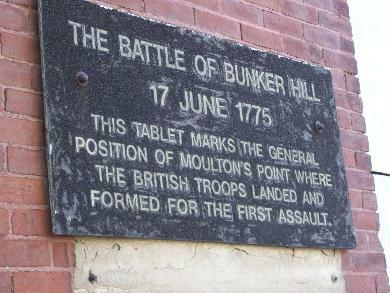 The entrenchments built on Breed's Hill in Charlestown sparked the battle of Bunker Hill. 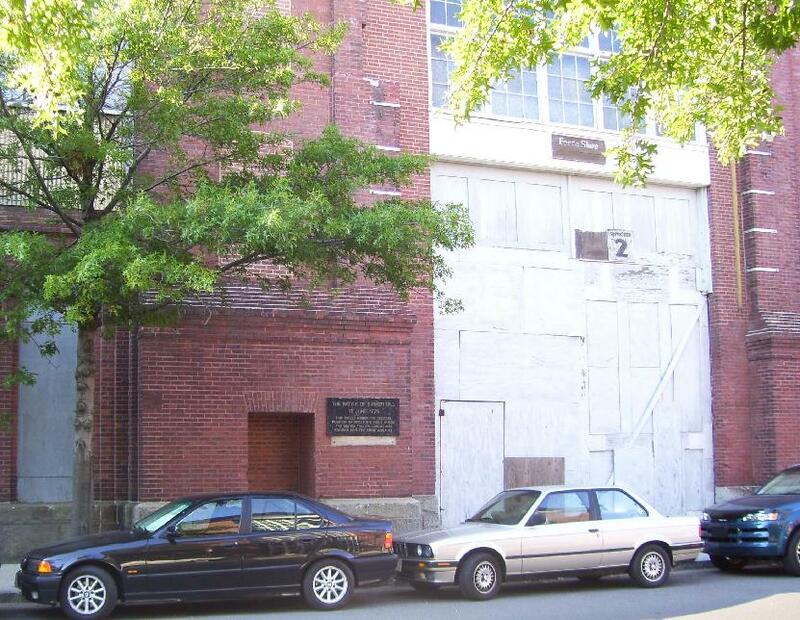 The site where General Howe landed the troops on Moulton's Point is marked by a plaque on the wall of a building on 1st Street. He won the battle, but at the cost of the lives of 19 officers (including Major Pitcairn) and 226 soldiers. Many of the 818 wounded soldiers were treated in field hospitals around the Common. The Royal Road started at the site of the theft of two brass cannons. If you climb to the very top of the Bunker Hill Monument you can see one of these cannons. The other cannon is at the North Bridge Visitor's Center. The painting is by Howard Pyle.